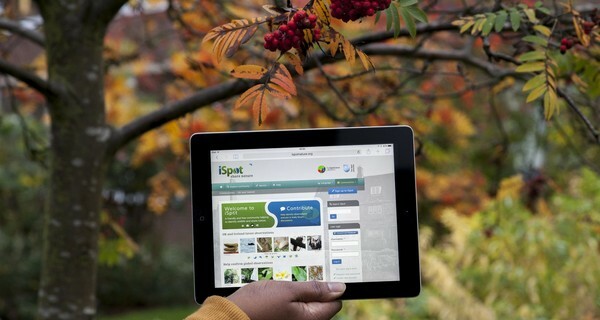 iSpot Nature is an online community of nature enthusiasts, professional and layman, who pool their expertise to help anyone to identify species of plants, fungi, lichens, flowers, insects, birds, animals, amphibians or reptiles they spot. Anyone can join and upload photographs, either with the suspected identity of the species for confirmation, or left blank for identification by the rest of the group. To date, iSpot has crowdsourced the identification of 30,000 taxa in over 550,000 observations, through over a million images from a global community of over 53,000 registered participants. Each member has a profile, and the more they contribute the better their reputation becomes. If other members agree with an identification, it gets upgraded to ‘likely identification’. As members become more experienced and accurate, their ratings go up and they are awarded reputation ‘badges’ that allow them to progress from novice to highly knowledgeable status. Most of iSpot Nature’s members are amateurs, but a sizeable group are experts from organisations such as the Royal Society for the Protection of Birds, the Natural History Museum and local groups like Dorset Dragonfly Society and Berkshire Moth Group. A mapping tool allows an area’s biodiversity to be accurately depicted, a dictionary of species means that members can explore family links, and the ‘species interactions’ feature shows, for example, which flower you are most likely to find a particular beetle on. An Open University initiative founded in the UK in 2009, iSpot Nature is now active in South Africa, Chile and Hong Kong. The OpenScience Laboratory, of which iSpot Nature is a part, won ‘Outstanding ICT Initiative of the Year’ at The Times Higher Education Awards 2014. Image courtesy of iSpot Nature.